Below is an article written from the wonderful book ‘Sodium Bicarbonate – Rich Man’s Poor Man’s Cancer Treatment – Second Edition’ by Mark Sircus, AC., OMD.I felt it was a good idea to share this information so please be sure to check it out -with an open mind of course. It is understandable how this can seem fa fetched but there are a number of well known natural cancer treatments that are working today that mainstream medicine refuses to talk about. There are many reasons to use baking soda but one overall reason is that sodium bicarbonate is a natural substance that will not harm us, our children or the environment because is it not a chemical compound that effects nature in any kind of negative sense. Baking soda is actually a compound that is found throughout nature, in the ocean, in the soil, in our foods, and in our bodies. 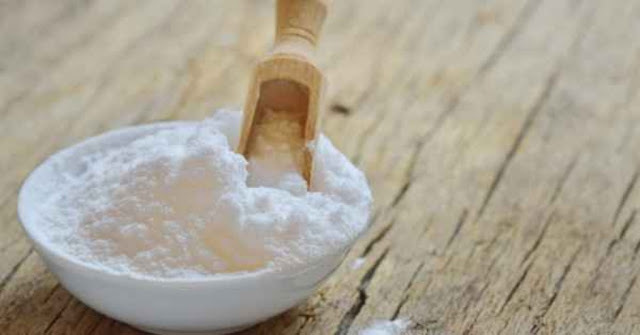 Baking soda is a neutralizer of many other compounds, which makes it extremely helpful as a medicine in the age of toxicity, which we are all presently passing through. Life-threatening asthma in children is often resistant to treatment with bronchodilators and systemic corticosteroids. Recent research suggests that administering sodium bicarbonate—an ingredient commonly found in kitchens—in intravenous (IV) form can significantly improve pH and PCO2 in children with life-threatening asthma. Sodium bicarbonate can save the day when nothing else can. The only other substance we can say the same is with magnesium chloride, which when injected will save a person during cardiac arrest and pull one out of a stroke if given soon enough. There has been work going on at the University of Arizona, using bicarbonate (baking soda) as a potential treatment for cancer. Robert J. Gillies and his colleagues have demonstrated that pre-treatment of mice with sodium bicarbonate results in the alkalinization of the area around tumors. (Raghunand 2003) This type of treatment has been found to “enhance the anti-tumor activity” of other anticancer drugs. This is very similar to the recently published research of injecting O2 directly into tumors where such direct administration of Oxygen also facilitated the action of chemotherapy. This year these same researchers reported that bicarbonate increases tumor pH (i.e., make it more alkaline) and also inhibits spontaneous metastases (Robey 2009). They showed that oral sodium bicarbonate increased the pH of tumors and also reduced the formation of spontaneous metastases in mice with breast cancer. It also reduced the rate of lymph node involvement. When it comes to sodium bicarbonate it is an open and shut case. It is already in wide use and has been for decades, even by oncologists who do not want their patients dropping dead too quickly because of the tremendous toxicity of their treatments. Sodium bicarbonate is used routinely to keep the toxicity of chemotherapy agents and radiation from killing people or from destroying their kidneys. In relation to bicarbonate, millions of people in the world either consume bicarbonate ions in drinking water or have been treated clinically with bicarbonate in hospitals, medical centers, or emergency. Sodium bicarbonate helps to save countless lives every day. Dr. Boris Veysman specialist in emergency medicine at the Robert Wood Johnson University Hospital in New Jersey describes one emergency room experience: “The emergency department is always noisy, but today the triage nurse is yelling “not breathing,” as she runs toward us pushing a wheelchair. A pale, thin woman is slumped over and looking gray. Without concrete proof of a “Do Not Resuscitate” order, there’s no hesitation. Click, klang, and the patient has a tube down her throat within seconds. I do the chest compressions. On the monitor, she is flat-lining — no heartbeat. I synchronize my words with the compressions and call out for an external pacemaker. Pumping … thinking: Cardiac standstill … after walking in … with cancer … on chemo. This resuscitation isn’t by the book. “Get two amps of bicarbonate,” I say to the intern. The jugular line takes seconds, and I flush it with sodium bicarbonate. This probably will correct the blood’s extreme acidity, which I suspect is driving up the potassium. The external pacemaker finally arrives. Potent electric shocks at 80 beats per minute begin to stimulate her heart. The vitals stabilize. Baking soda (sodium bicarbonate) lives up to the image on the Arm and Hammers box, it is the ultimate heavy weight work horse medicine that every healthcare professional and parent should be knowledgeable about and routinely using. When combined with other strong but basic natural substances like magnesium chloride and iodine one has at ones fingertips a trinity of medical super heroes ready to perform scientific medical miracles in a single bound. We are talking about serious medicine when we talk about sodium bicarbonate. Earlier and more frequent use of sodium bicarbonate is associated with higher early resuscitability rates and with better long-term neurological outcomes in emergency units. Sodium bicarbonate is very beneficial during CPR. Bicarbonate is present in all body fluids and organs and plays a major role in the acid-base balances in the human body. Most modern diets give rise to unhealthy acidic pH conditions. An imbalanced pH will interrupt cellular activities and functions to extreme levels as ph drops further. Excessive acidic pH leads to cellular deterioration which eventually brings on serious health problems such as cancer, cardiovascular disease, diabetes, osteoporosis and heartburn. The fact that the biological life functions best in a non-acidic (alkaline) environment speaks miles about the usefulness of baking soda. “Uniformly, in ill patients, increasing the alkaline buffer of the tissues makes patients feel better. As mentioned above, this is particularly true in chemically sensitive patients, and can actually be a “cure” in the sense that we are increasing the body’s ability to react in a healthy way to noxious stimuli. If I use the intravenous sodium bicarbonate in such patients, it is usually given twice a week for a period of 4-5 weeks. Sodium bicarbonate is a very effective way of directly improving celllular health by making the tissue more alkaline,” concludes Dr. Chan. Sodium bicarbonate loading and continuous infusion was associated with a lower incidence of acute renal dysfunction in cardiac surgical patients undergoing cardiopulmonary bypass. Sodium bicarbonate is the time honored method to ‘speed up’ the return of the body’s bicarbonate levels to normal. Bicarbonate is inorganic, very alkaline and like other mineral type substances supports an extensive list of biological functions. Sodium bicarbonate happens to be one of our most useful medicines because bicarbonate physiology is fundamental to life and health. So helpful and elementary it’s even instrumental in helping sperm swim up and enter the cervical canal. It is not possible to be a fully educated medical professional without coming up to speed on vital medical information about sodium bicarbonate. This book is full of contributions from universities, hospitals and clinicians who have for decades been researching and using sodium bicarbonate for many medical applications. Baking soda is an essential medicine, which no emergency room or intensive care ward would be caught without. This book represents a full medical review that combs through all corners of the medical universe to lay bare the full knowledge and scope of sodium bicarbonates use in medicine. Everything I know about bicarbonate you should know and when you do, you will know more than anyone else who has not taken the time or has had the interest to fully research the subject or read this book. It’s an experience to know much more about such a basic vital substance than your doctors. Take the journey and sail through bicarbonate seas. Read and learn and then begin to think of what is the medical truth about sodium bicarbonate as a treatment for cancer. This book also gives the keys to understanding that vast fraud and the intended rip off of labeling Carbon Dioxide (CO2) a poisonous gas. In these pages you will find the truth about CO2 because it is a great part of the secret about sodium bicarbonate (baking soda), which turns to CO2 in the stomach when mixed with water. As we shall see sodium bicarbonate, CO2 and Oxygen (O2) are all tied together. All three are essential for biological existence on planet earth. CO2 is no more of a poison than water. Sodium bicarbonate (Baking Soda) is probably one of the most useful substances in the world; no wonder the pharmaceutical companies don’t want doctors or anyone else to know much about it. Sodium Bicarbonate is an important medicine – of the safest kind – and it is essential when treating cancer, kidney and other diseases.